Nonprofits are responsible for one in seven jobs in New York State and generate more annual revenue than other state in the country. The Nonprofit Revitalization Act of 2013, signed into law on December 18, 2013, represents the first overhaul of the laws governing New York’s nonprofit sector in over 40 years. The law includes sweeping reform that cuts red tape while enhancing governance and oversight, and follows the emergence of stories of public officials and others abusing charities, testing the public’s trust in the nonprofit sector. Most provisions of the law take effect on July 1, 2014. The threshold for independent financial audits filed with the Charities Bureau is raised from $250,000 to $500,000 on July 1, and will be further raised to $750,000 in 2017 and $1 million in 2021. However, nonprofits whose funders require audits (such as New York housing non-profits receiving funding from HUD) will still have to be audited regardless of if they meet this threshold. The act also adopts new procedures for mergers, asset sales, dissolutions, and certificate of incorporation changes. In lieu of appearing in court, organizations may obtain Attorney General approval for these transactions. The law makes major changes to nonprofit governance. To enforce independent board leadership, the board chair cannot be an employee of the nonprofit. Boards can communicate and hold meetings using modern technology like email, Skype videoconference. Boards will be allowed to delegate real property transactions to board committees. Under previous law, the entire board is required to approve transactions by supermajority vote. The board or the audit committee must perform certain audit oversight responsibilities in organizations that solicit charitable donations, including overseeing accounting and financial reporting processes, annually retaining or renewing the auditor, and reviewing the results with the auditor. Nonprofits with over $1 million in annual revenue must engage in additional review and discussions with the outside auditor. The audit committee must be comprised solely of independent directors. Independence requires not being an employee of the nonprofit during the past three years, compensation not exceeding $10,000, and no related outside entities engaging in business with the nonprofit above the threshold. This requirement becomes effective July 1, 2014 for nonprofits with more than $10 million in revenue and January 1, 2015 for nonprofits with less than $10 million in revenue. Related party transactions will be subject to new board oversight requirements. This includes any transaction, agreement or other arrangement in which a related party has a financial interest in which the nonprofit or an affiliate is a participant. Related parties include relatives of directors, officers, and key employees, and outside entities in which they have a substantial financial interest. The board must determine that a related party transaction is fair, reasonable, and in the best interest of the organization. The board must also consider alternative transactions if possible, approve transaction by majority vote, and document basis for approval. The New York State Attorney General gains the power to remedy improper related party transactions that violate the law or are not reasonable or in the best interests of the nonprofit. The Attorney General can unwind such transactions, remove directors, obtain financial restitution and replacement of property, and obtain double damages for willful misconduct. All nonprofits will be required to adopt conflict of interest policies that ensure that directors, officers, and key employees act in the nonprofit’s best interest. Directors and trustees will be required to sign and submit an annual conflict of interest disclosure statement. Nonprofits with both over 20 employees and $1 million in annual revenue are required to adopt whistleblower policies and procedures. What should organizations do to prepare themselves by July 1? Determine if your organization needs to be audited under the new limits. Make sure your board of directors has independent leadership. Adopt or amend your organization’s audit oversight, conflict of interest, and whistleblower policies. Even if you aren’t required to yet, it’s best practice to have one. Revise bylaws to comply with the Act. Keep current with updates. 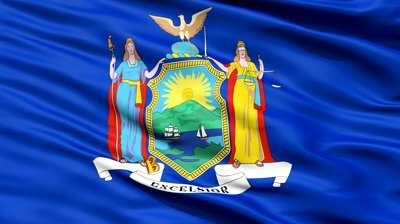 The New York State Assembly and Senate are considering legislation which would extend the effective date for several segments of the act from July 1, 2014 to March 31, 2015. Since 1993, NYMC has provided homebuyer education to over 53,000 households and helped over 10,000 New Yorkers purchase their first home. Find out more and hear from successful homebuyers. Meet with a housing counselor and take the first step to becoming a homeowner. Join our cause to support affordable homeownership in the Greater New York area.